Art and history enthusiasts might have paused and pondered upon seeing an unfinished painting by National Artist Fernando Amorsolo at the National Museum of the Philippines showing a portrait of a lady. The woman’s identity was left unknown for almost five decades, and finally after thorough research, Amorsolo’s sitter in his unfinished painting was finally revealed. 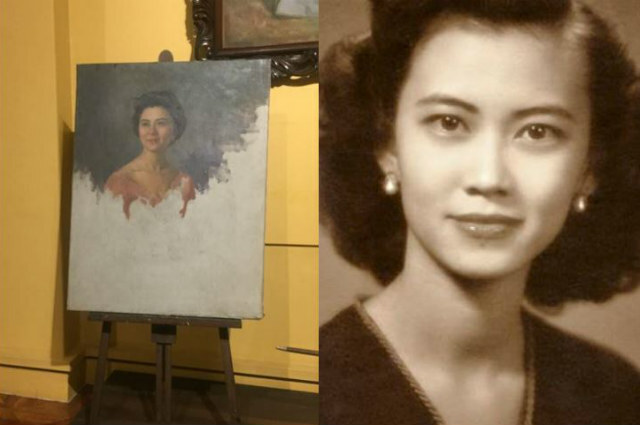 In a Facebook post by the National Museum of the Philippines, it confirmed that the woman in the painting was Florencia Singson Gonzalez-Belo, the late mother of Dr. Vicki Belo. This is an amazing story . This painting is hanging in the national museum and is the last work of #amorsolo. Judy Roxas saw it and said that the mystery woman in the unnamed painting was Nena Belo my mom. They contacted @quarkhenares and he confirmed it . All my moms 5sisters had amorsolo portraits and when I asked her why she didn't have she said that she had posed for it but didn't know what happened to it. Well, it was never finished and surfaced 65 years later . According to the post, Amorsolo who died in April 24, 1972 at the age of 79 was not able to finish the painting.